June 17, 2015 - This study, published in Applied Animal Behaviour Science in 2008, reviews the existing literature on swimming water for mink. The article concludes that the absence of access to swimming water, without prior experience, does not lead to consistent changes in the level of stereotypic behaviour, or anticipatory responses in mink. The question of whether or not access to swimming water is an essential behavioural need for farmed mink has been the focal point of much research in the past 15 years . This study from 2008 is based on a review of all existing research on swimming water. In short, the conclusions of the litterature review are that the use of a water bath for mink is most likely related to foraging behaviour, and the absence of swimming water, without prior experience, does not lead to consistent changes in level of stereotypic behaviour. However, the removal of a previously experienced water bath may induce short-term stress. Consequently the claim that mink suffer without access to swimming water is based on the assumption that farmed mink are missing something they have never experienced. There is no scientific evidence to support such a claim. 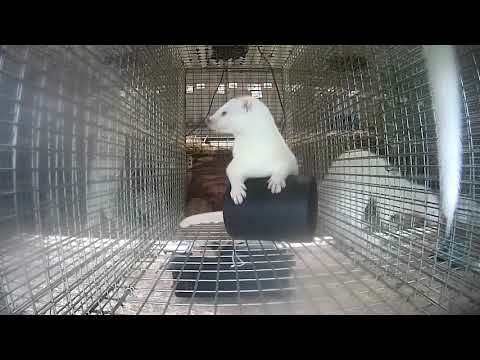 Access to swimming water can potentially offer improved welfare for farmed mink, but improved welfare can also be achieved from other sources of cage enrichment. In general, the provision of cage enrichments for farmed mink should be focussed on variability and choices.